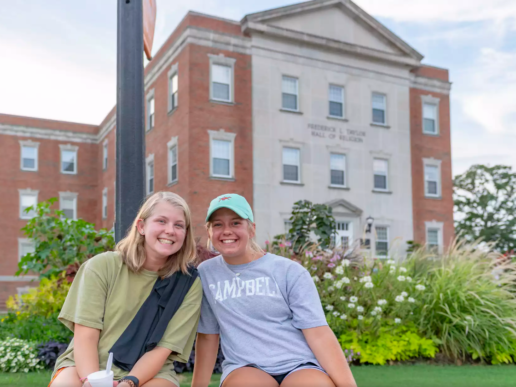 Campbell University’s main campus has canceled classes and will suspend normal operations Wednesday through Sunday in preparation for Hurricane Florence. The campus will operate under normal conditions through Tuesday. Campbell’s law school in downtown Raleigh will end classes at noon on Wednesday, and there will be no classes for Adult & Online Education through Sunday. Classes have also been canceled at Campbell’s Camp Lejeune and Fort Bragg campuses beginning this evening. The University will activate its severe weather and emergency policy Wednesday to ensure that all essential operations remain functioning through the storm. The National Hurricane Center is warning of damaging winds and “dangerous flooding from a prolonged and exceptionally heavy rainfall event” for inland counties in the storm’s path. 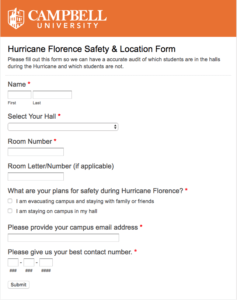 Campus residents will be asked to fill out a “Hurricane Florence safety and location” form to provide University officials with an accurate headcount of those who remain on campus when severe conditions arrive. All residential students will be asked to choose “I am evacuating” or “I am staying” by noon on Wednesday. 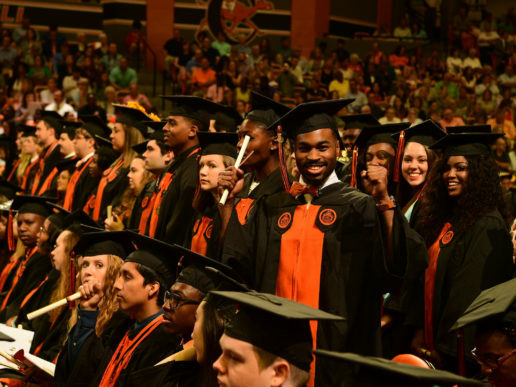 All residence directors and assistants will remain on campus this week to oversee the 11 on-campus dorms and apartments run by Campbell University. 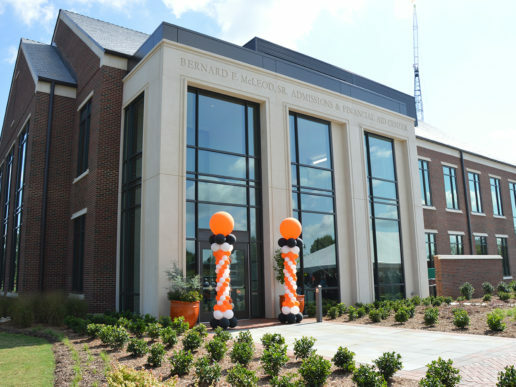 Students who remain will have access to dining through Marshbanks Hall, which will also serve as a generator-powered emergency shelter should other buildings lose power or sustain damage in the storm. 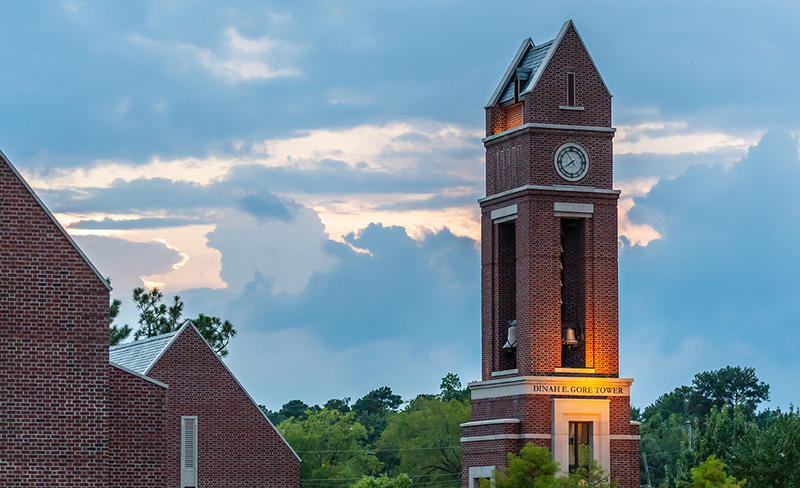 “As this storm approaches, we are implementing safety procedures and have coordinated with university emergency personnel to ensure the safety of our campus community,” said Dennis Bazemore, vice president for student life. Facilities Management personnel have taken precautionary measures this week securing outdoor equipment and preparing low-lying areas for heavy rains. Harnett County Sheriff’s Office deputies and other emergency personnel will be on-site and on-call throughout the storm. Students and staff who remain on campus will be asked to remain indoors during dangerous conditions. To contact Campus Safety, call (910) 893-1375. In case of emergency call 9-1-1 (on campus, dial 1-9-1-1). Football: Campbell’s Barker-Lane Stadium will serve as the site for Wednesday’s 2 p.m. football game against Coastal Carolina (the game was originally scheduled for Saturday in Conway, S.C.). Admission and parking will be free of charge for all patrons. All parking and seats will be general admission. Volleyball: The Campbell Invitational volleyball tournament, scheduled for Friday and Saturday, has been cancelled and will not be rescheduled. The Camels return to action next weekend to begin Big South play with a trip to Charleston Southern on Sept. 21. Soccer: Men’s soccer will host VMI at 5 p.m. on Wednesday, but Saturday’s scheduled match against Navy in Buies Creek has been canceled. Tuesday — Closes at 9 p.m.
Wednesday — 8 a.m. to 8 p.m.
Thursday — 8 a.m. to 8 p.m.
Tuesday — Closes at 5 p.m.
Wednesday — 10 a.m. to 2 p.m.
Thursday — 10 a.m. to 2 p.m.